We have a favorite pizza place back east, Sally’s in New Haven, CT. 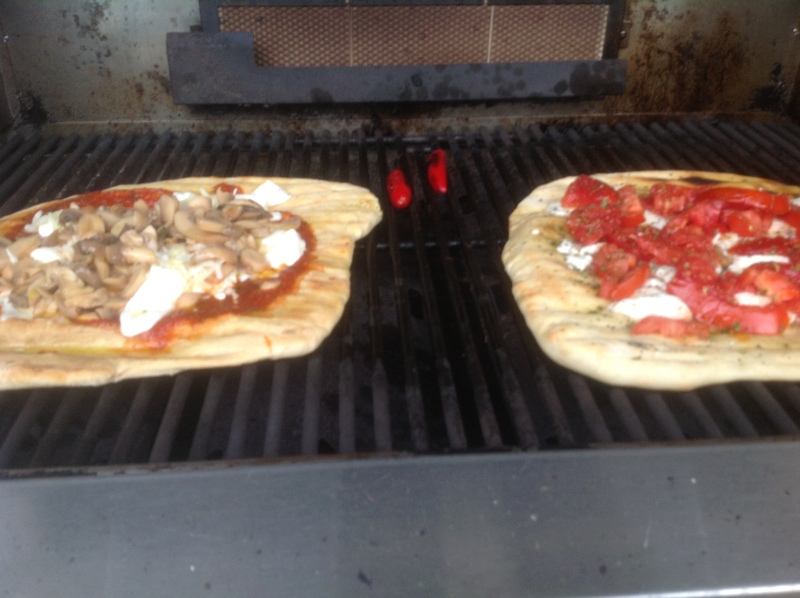 This is the closest I’ve come to creating that wonderful pizza….grilling. Sally’s uses a “coal” fired oven so cooking the pizza on the grill is a very close resemblance. It’s pretty easy to do, and no better time than summer. 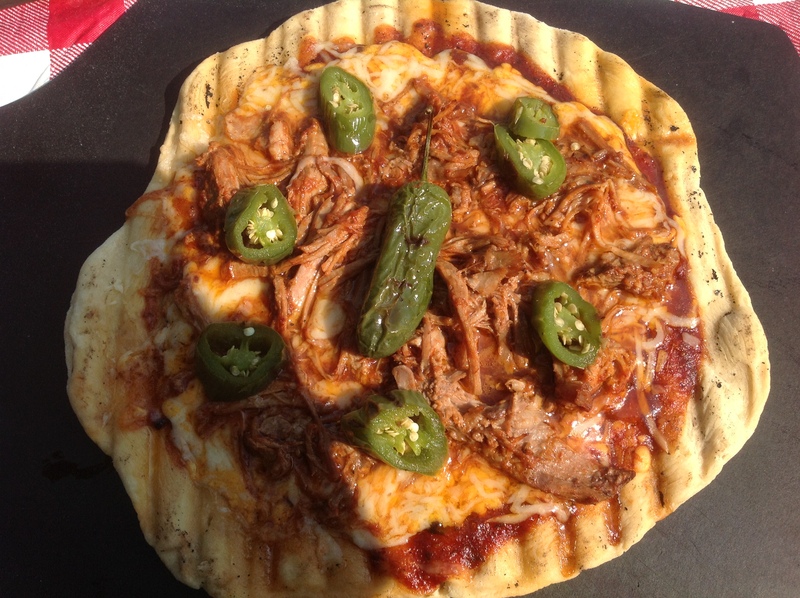 Whip up some dough, fire up the grill, pop a cold one and enjoy! 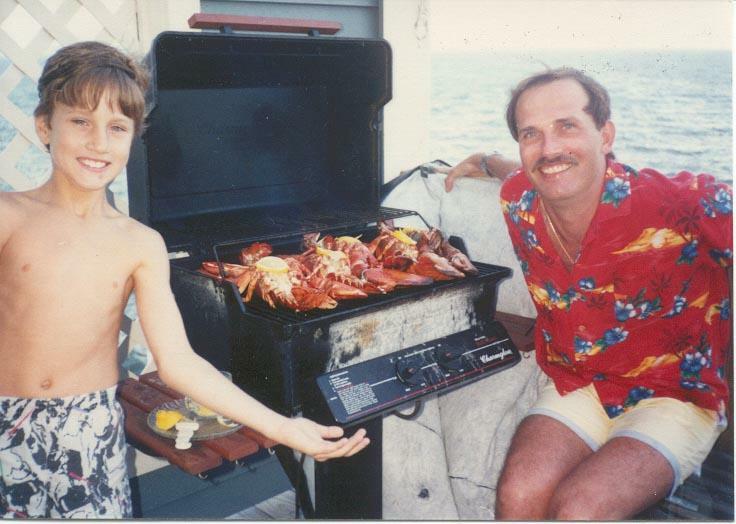 On Father’s Day I tried poaching lobster in a beurre monte sauce. Probably the best lobster I have ever eaten. Guess what I am making for Bob’s birthday????? Here’s how you do it. 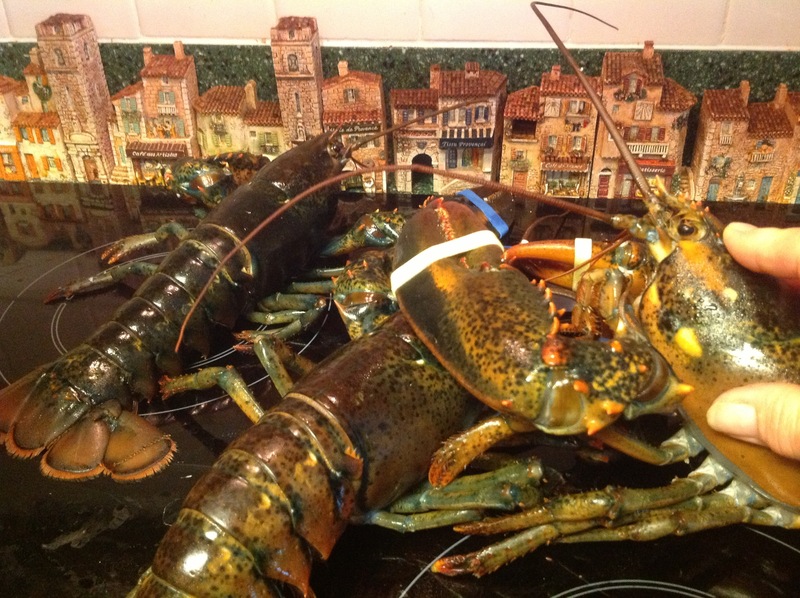 Purchase lobsters from local grocery store. Place them in the refrigerator until ready to use. 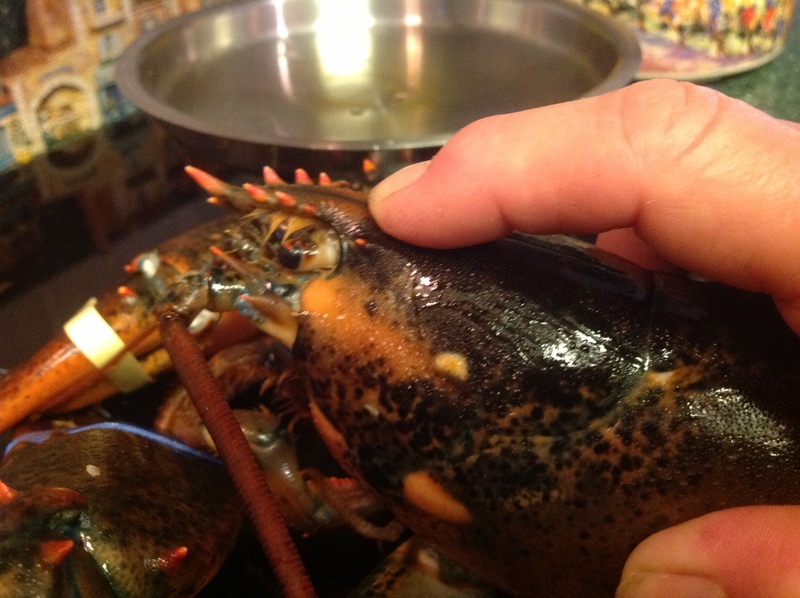 Place lobsters (head first) into the boiling water and cook for 2-3 minutes. 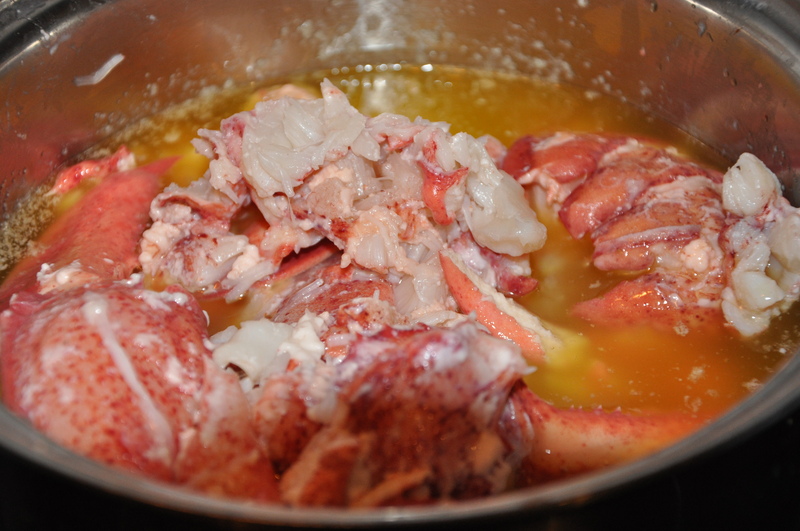 In a large bowl add water and ice cubes (ice-water bath) and place the lobsters into the pan. Using a good pair of kitchen scissors cut the lobster shell and remove the meat, trying to keep the lobster in tact as much as possible. In a medium size pan bring 1 tablespoon of water to boil over medium heat. Reduce heat to low and whisk in butter, one tablespoon at a time. This method will help it emulsify, which means mixing two liquids together that normally don’t mix well (water and oil). Add the lobster and cook over medium low heat (do not let butter boil) for 5 minutes, or until the internal temperature of the lobster meat reaches 140-145°F using a Thermapen thermometer. 1. Bring a large pot of water to boil. Turn off heat and add the lobster. Cover with lid and let cook for 3 minutes. 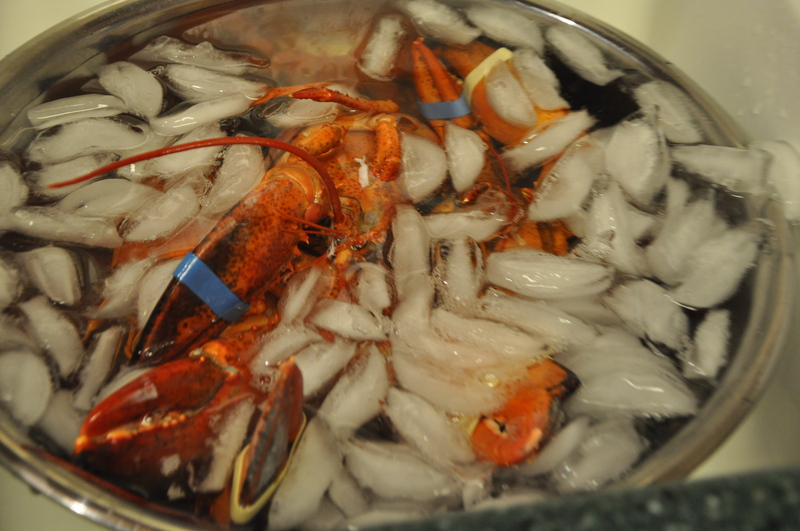 Place lobster into a large pan of ice water (this cools down the lobster to the touch and stops the cooking process). Remove all lobster meat from shell trying to keep lobster in tact. 2. In a sauce pan, bring 1 tablespoon of water to simmer over medium-low heat. Whisk in 1 piece of butter. When butter had melted, add another piece. Continue with remaining butter pieces, one at a time. Make sure the mixture does NOT come to a boil, otherwise the butter will separate. 3. Keeping the heat on medium-low, add the lobster pieces and cook for 5 minutes, or until an internal temperature of 140-145° is reached. Serve immediately!